A new picture of Robert Pattinson and FKA twigs surfaced on twitter today. 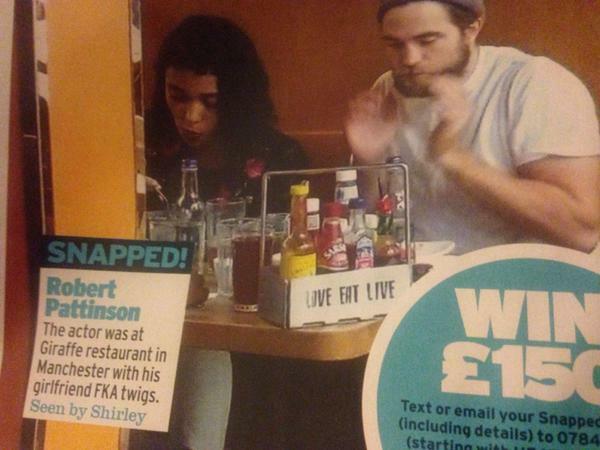 The photo is new/old from Manchester where Rob and FKA twigs visited the Giraffe restaurant. Not sure what Rob had seen on his plate but oh my biceps!! !